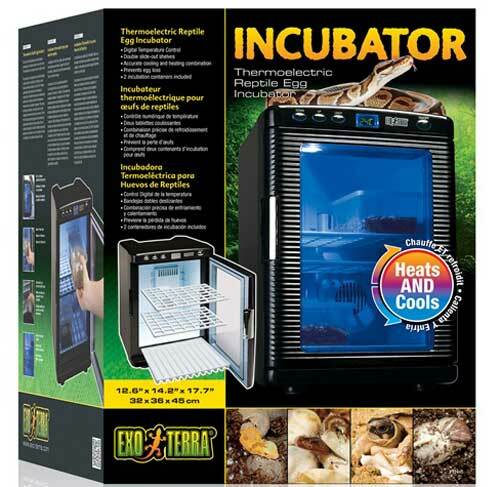 The Exo Terra Incubator uses thermoelectric technology which enables the device to cool and to heat. The temperature range is approximately 2°C to 60°C (36°F to 140°F), depending on the ambient room temperature. The temperature can be easily set using the digital control; and the bright-light LED display indicates the current incubation temperature.